Changes in seasonal movements and population dynamics of migratory birds in response to ongoing changes resulting from global climate changes are a topic of great interest to conservation scientists and birdwatchers around the world. Because of their dependence on specific habitats and resources in different geographic regions at different phases of their annual cycle, migratory species are especially vulnerable to the impacts of climate change. 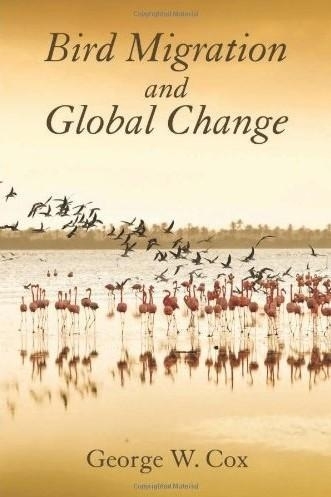 In 'Bird Migration and Global Change', eminent ecologist George Cox brings his extensive experience as a scientist and bird enthusiast to bear in evaluating the capacity of migratory birds to adapt to the challenges of a changing climate. 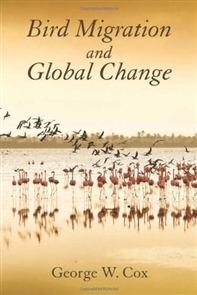 Cox reviews, synthesizes, and interprets recent and emerging science on the subject, beginning with a discussion of climate change and its effect on habitat, and followed by eleven chapters that examine responses of bird types across all regions of the globe. The final four chapters address the evolutionary capacity of birds, and considers how best to shape conservation strategies to protect migratory species in coming decades. The rate of climate change is faster now than at any other moment in recent geological history. How best to manage migratory birds to deal with this challenge is a major conservation issue, and 'Bird Migration and Global Change' is a unique and timely contribution to the literature.